So, make your reservations or get your tickets to the end year events which most appeal,to enjoy novel and exciting experiences with friends and family at your chosen SOUL Society outlet. 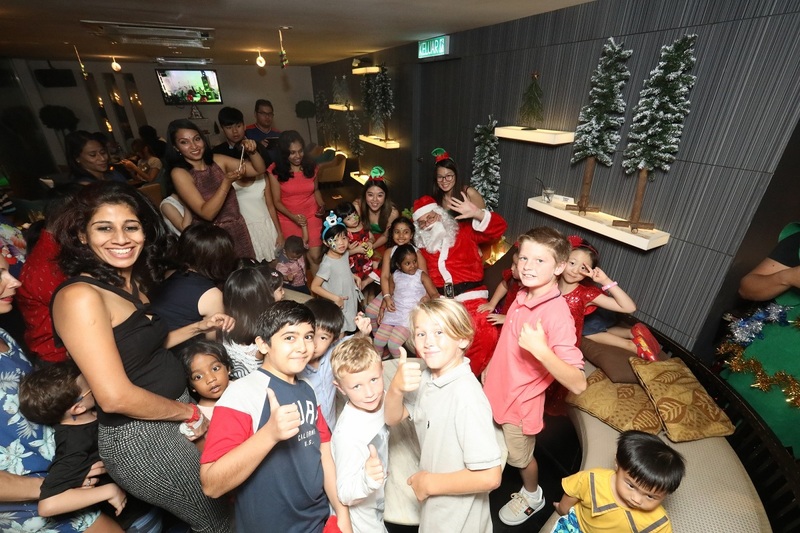 This Christmas Eve, guests will rock their jinglebells with DJ Hawk tofestive tunes performed by Sofa Sundays and sing Christmas carols with the Lighthouse Children’s Welfare Home as they eagerly anticipate Santa’s arrival. 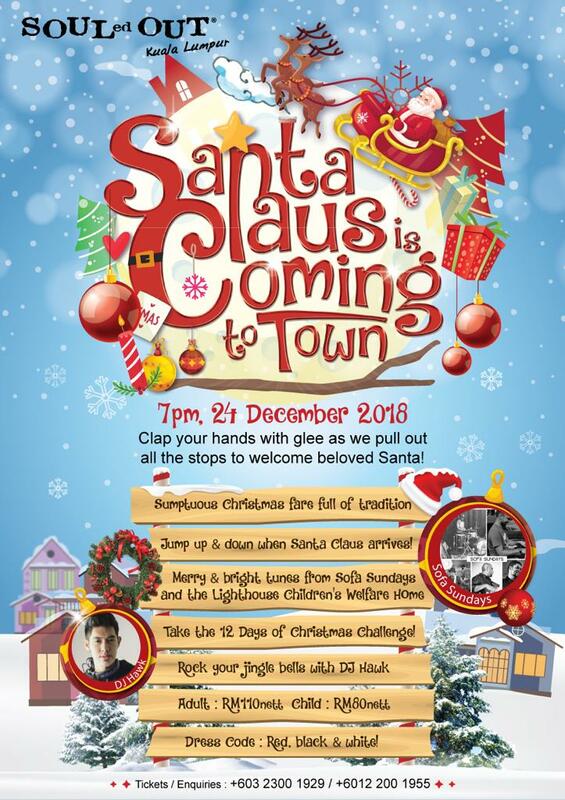 Revellers can also win complimentary drinks courtesy of SOULed OUT by singing along in the 12 Days of Christmas challenge. 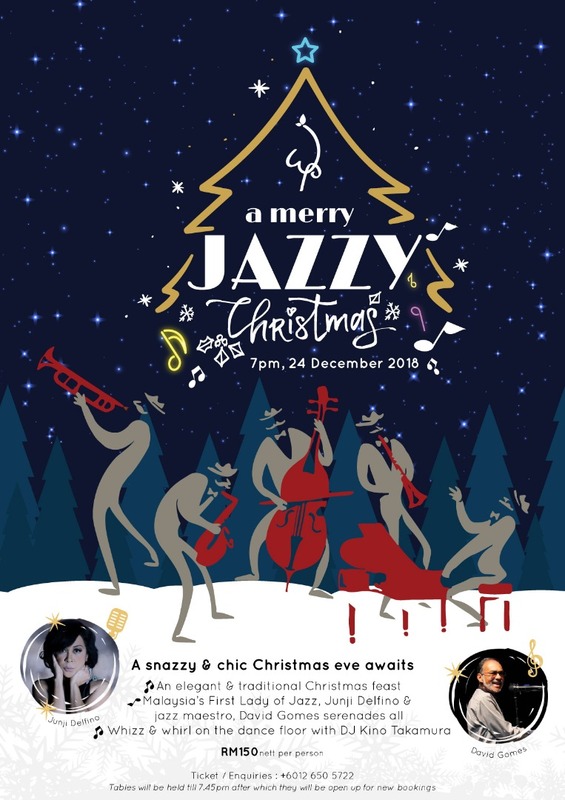 WIP is celebrating Christmas Eve withamerry, jazzy party, keeping it fresh and different in typical fashion. Diners will enjoy the smooth stylings of Malaysia’s First Lady of Jazz, JunjiDelfino and maestro David Gomes. Later, DJ Kino Takamura will heat up the dance floor so guests can groove down in their best cocktail chic. 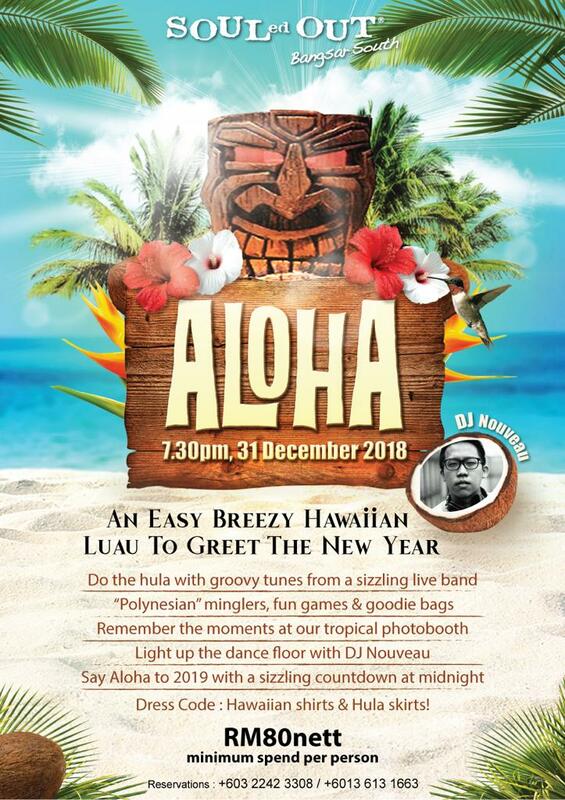 DJ Nouveau will be lighting up the dance floor and guests can capture special moments at our Polynesian themed photobooth. Partygoers are encouraged to come in their best Hawaiian shirts and hula skirts and join us for a sizzling countdown. Minimum spend applies at RM80 nett per pax. 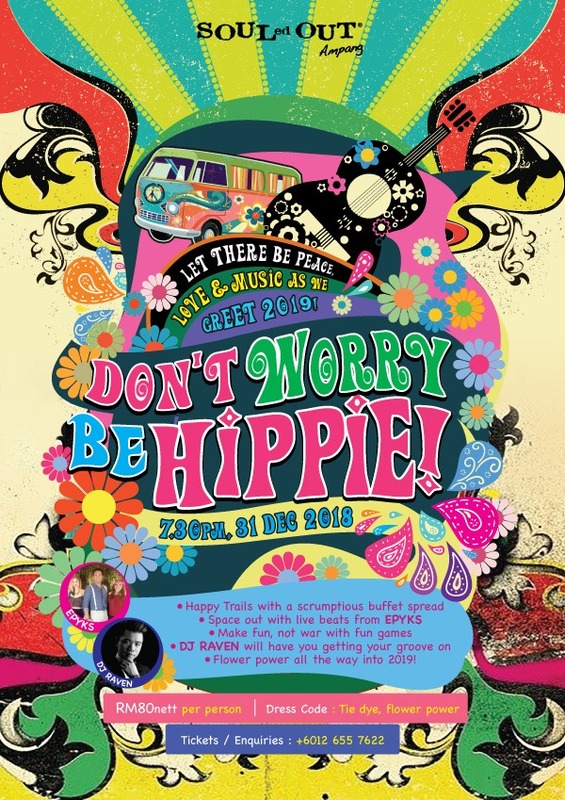 For a chilled out New Year’s Eve, the Don’t Worry, Be Hippie party at SOULed OUT Ampang will have you flower powering all the way into 2019. Tickets are RM80 nett and are inclusive of apsychedelic buffet dinner, featuring SOULed OUT’s greatest hits. Don your corsets and bow ties and join us at WIP for a sultry, frivolous and provocative evening this New Year’s Eve. Make memories at the naughty photobooth and you mix it up on the dance floor when DJs Lucid Jun and Melissa Jo take to the decks. 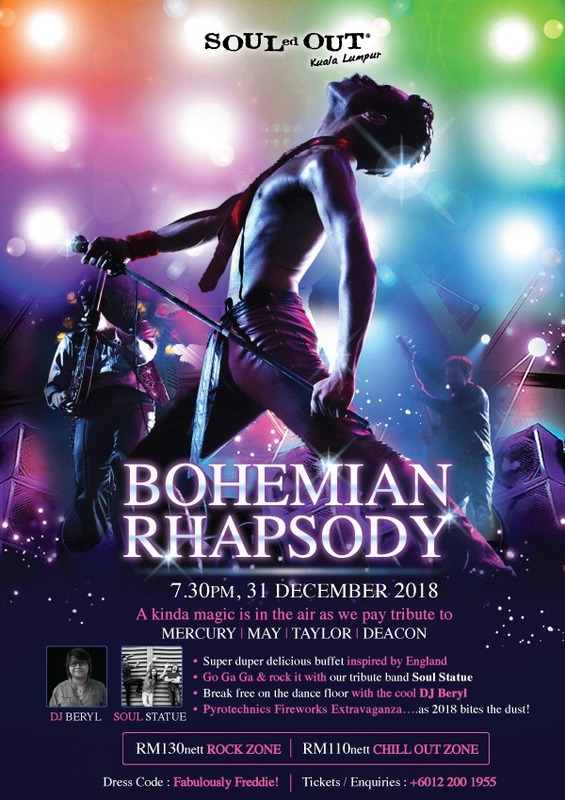 Burlesque performances will keep diners entertained as WIP closes out the year with a big bang to usher in 2019. Minimum spend applies at RM150 nett per pax. 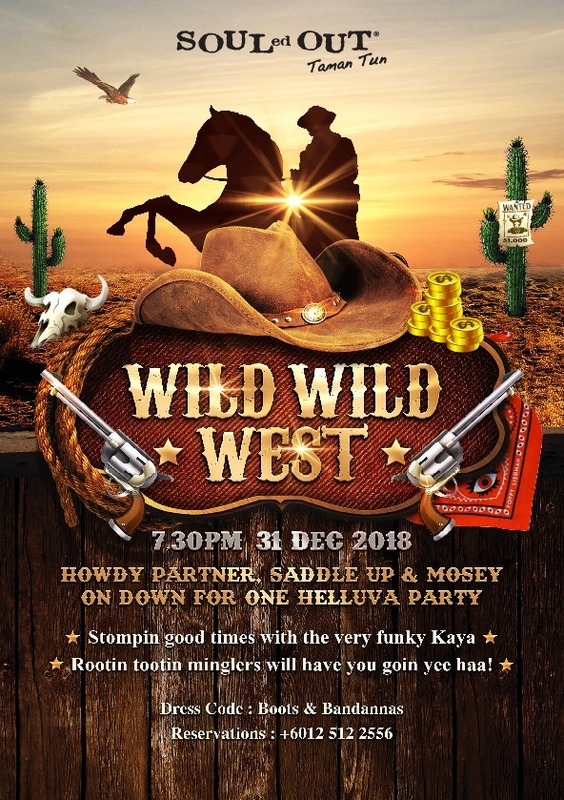 This entry was posted in Party and tagged 2018, christmas, new year eve, nye, party by TheGoodGoodGuy. Bookmark the permalink.